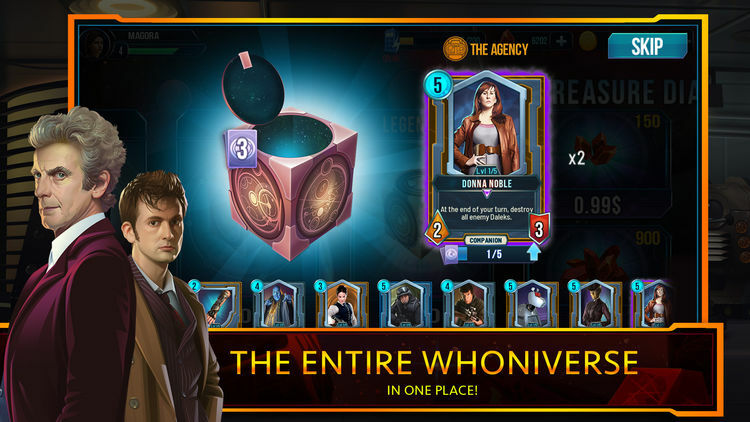 Bandai Namco has released a brand new collectible card game app for Doctor Who fans but it might not be available in your country just yet. A soft launch is when a company releases a new product or service to a restricted audience prior to a full launch. This is generally to gauge the audience’s reaction and collect data to determine whether releasing on a larger scale will be profitable. This looks to be a pretty typical soft launch. Many apps planned for a UK or US audience release will do a soft launch in other English speaking countries first. Currently this app is only available in New Zealand, Australia, Canada and Thailand. As this is still a soft launch the game will be available in more countries once it advances to full launch. The app features a variety of characters from the whoniverse including Sarah Jane Smith, Amy Pond, River Song, Captain Jack and everyone’s favourite robot pup K-9. The game is free but does feature in app purchases. Currently the app is only available in the English language. It is unclear if this will change when the full launch takes place. No announcements have been made to indicate a date scheduled for the full launch. 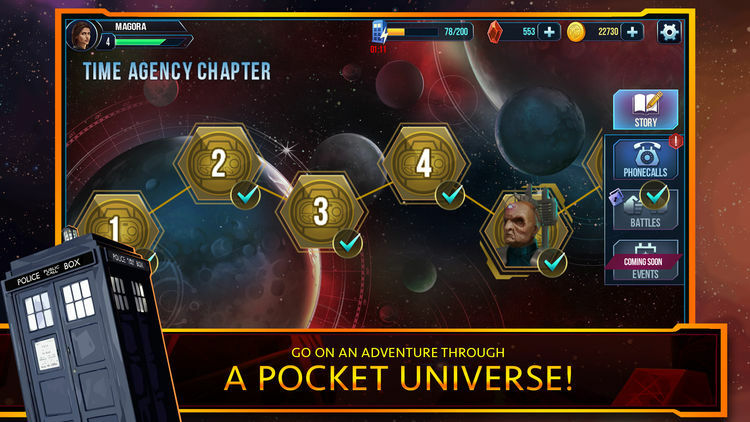 Some of the gameplay from this app can be seen in the video below.